I think this book was really good.and good to know that people used to kill or hunt mammoths down for many different reasons.also showed pictures of different kinds of mammoths and elephant that i never knew of.now because people had hunted them down, they no longer live.I also recommend because it's good to know if you don't know much in the past. 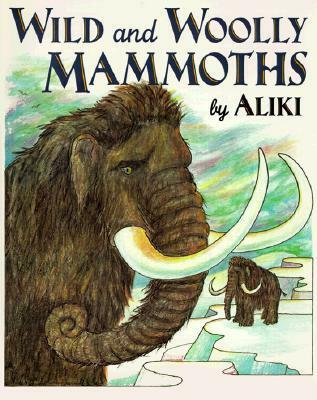 A beautifully written and illustrated account of the lives, migration, and eventual extinction of the woolly mammoth. Skirts topics such as evolution such that I think few would raise argument against the book from either side of that debate.Touches on death in several places. What can I say? It did have a fair amount of information. I don't think anything more than the kids already knew though. Aliki - Aliki has written and illustrated many books, both fiction and nonfiction, loved by readers throughout the world. The books were inspired by a word, an experience, or the desire to find out. Aliki lives in London, England.